Morning reflection of Mount Shasta from the Lake Siskiyou Trail. With the skies clearing and warm weather in the forecast, this is the perfect time to get out and enjoy the great lower-elevation trails that the Mount Shasta area offers. Even though the paths that wind through the high, alpine country are what this area is generally known for, they do not permit great hiking in the colder months when they are usually blanketed in snow. This is in contrast to the lower elevation trails, which offer great scenery throughout the year and are usually not burdened by the white stuff on the trail. These paths may lack the lakes, cliffs and alpine splendor of their high neighbors but they have delights are all their own, including roaring rivers, thundering waterfalls, views of Mount Shasta and the opportunity to find isolation in the deep forests that surround California’s most magnificent mountain. The settings of the off-season trails are also diverse. From the high desert of the Shasta Valley to the rugged towers of the Castle Crags to the surging waters of the McCloud and Sacramento Rivers, there is a surprising variety in these areas. 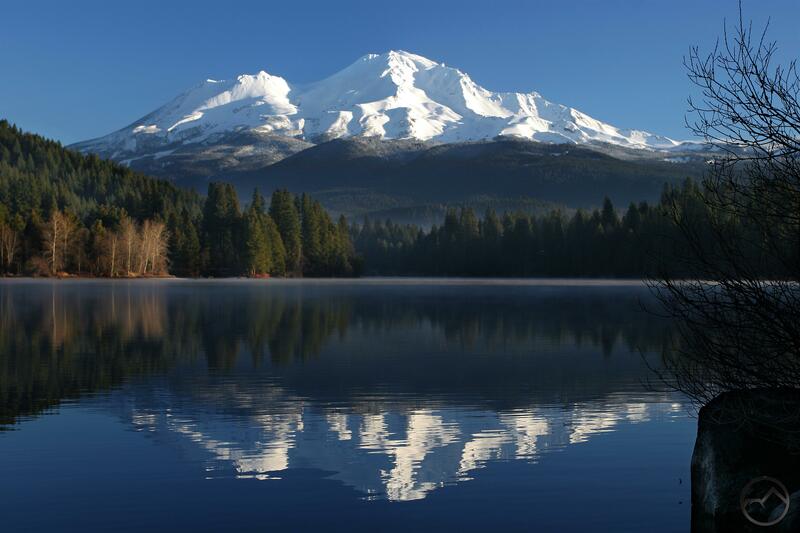 While many other mountain regions lack good winter and early spring hiking options, the Mount Shasta area is blessed with an abundance of great opportunities. The area immediately surrounding Mount Shasta City is fortunate to have such great hiking options. Whether one is looking for wild rivers and waterfalls, cool forests or great views of Mount Shasta, hikers will find wonderful trails close to town. Without venturing out of town there is a great trio of great short walks within town as well! The sagebrush and juniper laden high desert of the Shasta Valley stands in striking opposition the deep forests that thrive in the higher, cooler climates elsewhere around Mount Shasta. The arid environment is a fantastic change of pace with a beauty all its own and the sparse vegetation yields tremendous views of Mount Shasta. The trails along the McCloud River and its tributary Squaw Valley Creek all offer hikers the chance to enjoy the superlative McCloud River, its excellent waterfalls, and refreshing creek. For hikers who love running water, it is hard to do better than these. Like the trails along the McCloud, the paths accessing the Sacramento River offer great views of California’s largest and longest river, as well as the chance to enjoy a fine waterfall and some great Mount Shasta area history. Easily the most spectacular landmark in the region after Mount Shasta, the Castle Crags offer many great spring hiking options. The granite spires of the Crags make the trails in the area seem like they are at a much higher elevation than they really are. In addition to the seemingly interminable towers the Castle Crags are also home to two of the finest waterfalls in the Mount Shasta area. Spring is the perfect time to hike these trails, when the weather is cooler and spring snow melt keeps the falls in fine form. Hey, nice website. Thanks for all the great info. We’re coming to the area in 10 days to spend a day doing a practice hike for a summit walk later in May. Can you recommend a good walk? We’re looking for altitude (some not 14,000! ), normal boots not snow boots, about 7 hours duration. Thanks. Most of the longer, steeper trails still have some snow on them. 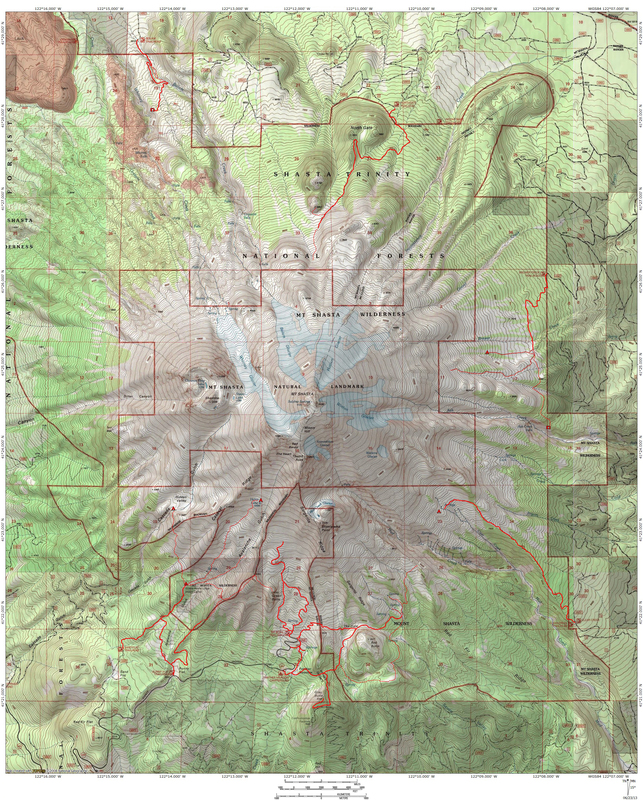 For getting a bit of a workout right now, your best bet are the Castle Dome and Black Butte Trails. They will at least give you some fairly significant elevation change. You can also head over Parks Creek Pass and hike the trail up to Bear Lake in the Trinity Alps. As I think about it, that is probably the best way to go.